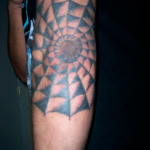 Today, let’s talk about such an interesting phenomenon as tattoos on elbows, which is becoming more and more popular. Many people wonder, what pictures will suit this area, whether it is painful to ink the tattoo on the crook of the elbow, whether the image will subsequently slide. We’ll try to answer all these questions in detail in this article. In my opinion, the tattoo on the elbow is a prerogative of men for sure. Girls aren’t really eager to ink this area, except for the cases, when the sleeve from the elbow to the arm or from the shoulder to the elbow is tattooed. However, even in such cases, the crook of the elbow often remains untouched, as a rule. I bet that most of you imagine prison tattoos with cobwebs, when mentioning tattoos on elbows. We discussed their meaning in detail in the corresponding article, so now we won’t dwell on this. The only thing worth saying about it is that nowadays these stereotypes are almost forgotten. Male tattoos on elbows are for those, who want to stand out from the crowd, be extraordinary and unusual. Their prison meaning gradually fades into the background. 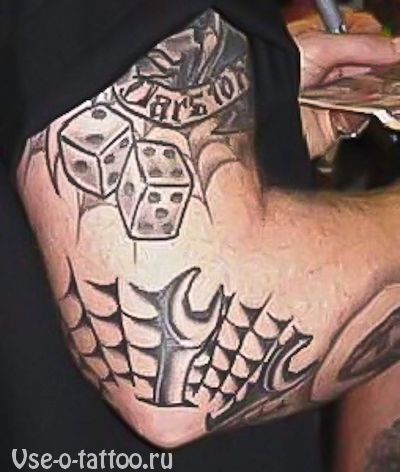 So, we figured out that tattoos in the elbow area didn’t have a special meaning. The meaning of each tattoo depends on what its owner puts in it. It is much more interesting to talk about the experience of inking various stories on this place from the artist’s point of view. And here are a few important points. The crook of the elbow is an extremely mobile zone, the skin there is stretched very much, so if you ink this place, the picture may look different with a bent and unbent hand. That’s why, most tattoo images on the elbow are the stories, in which the picture seems to be tattooed on the edges, leaving the bend either untouched or completely inked. Note: don’t tattoo complex pictures with a lot of details here, including: dragons, various animals, realistic images of people and stuff. Regular-shaped and simple objects, for example stars, ornaments, patterns are much better. Take a closer look at the styles of blackwork and dotwork tattooing. There you will find great ideas for tattoos on the elbows! An interesting fact, which many people forget, is that the shape of elbows in different people can be strikingly different. 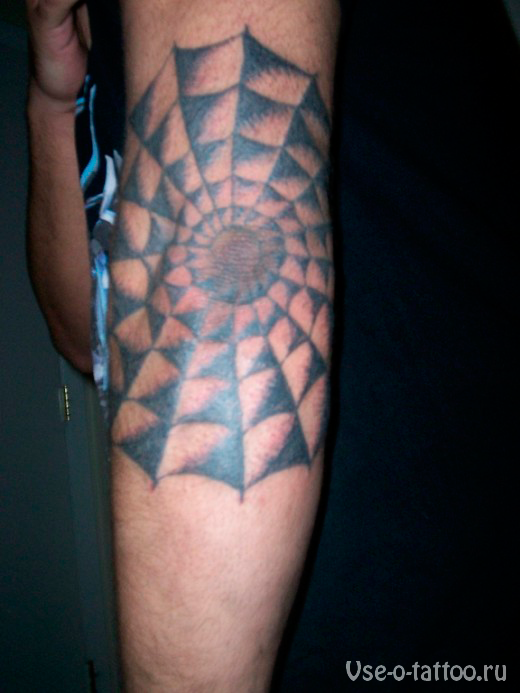 This place can be flat and round, which makes symmetrical tattoos a perfect storyline. There are pointed, sharpened, sometimes even double elbows. In this case, it is necessary to choose an individual sketch, adjusting for the shape. The last thing I would like to mention is the sensitivity of this place. The elbow isn’t characterized by an increased susceptibility to pain, like the rest of the hand. And despite the small number of subcutaneous tissues in this area, the process should be relatively smooth.